WISBECH BRANCH (13) - When I took these pictures on New Years Day 2006, the Wisbech Branch had been mothballed for about 5 years. Looking north at Waldersey, which doesn't really exist - just about a dozen houses and a couple of farms. 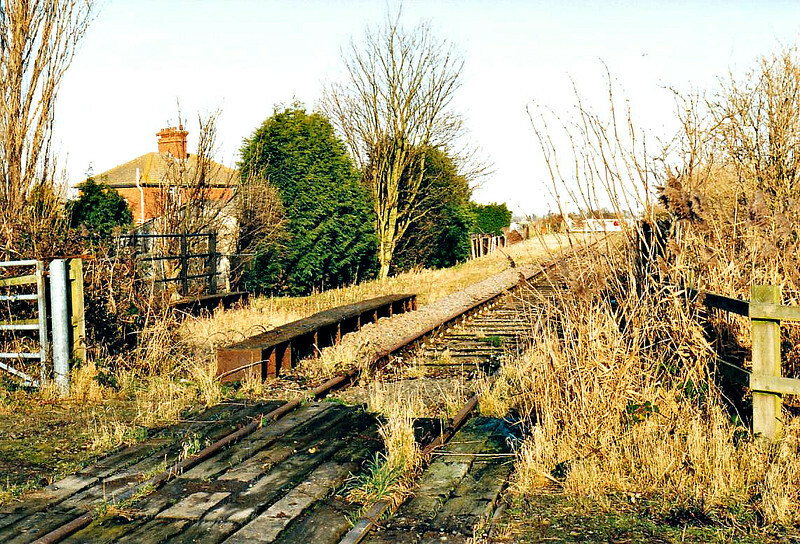 The house on the left has the original signalbox nameboard attached to it.